"Snakespit" is a frontal AE. This page last modified 2019-01-04 19:23:29. PHer is a tunnel snake. 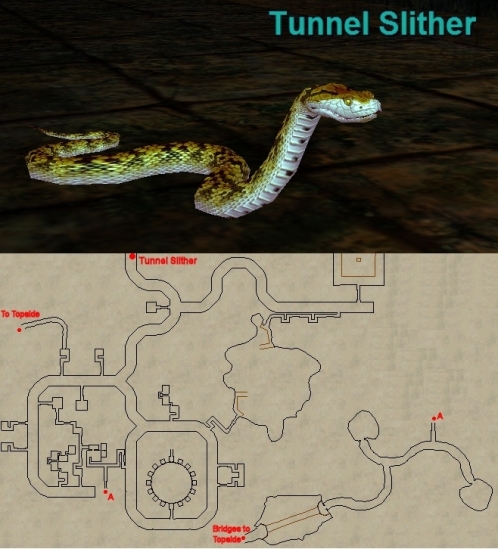 Anyone have an idea of the Re-spawn time on this snake? Dropped Helping Hand and Fear Stained Gloves.